A series of controversial films which were either banned or heavily censored on their release are to be shown during Peninsula Arts’ autumn season, which carries the theme of ‘revolution’. 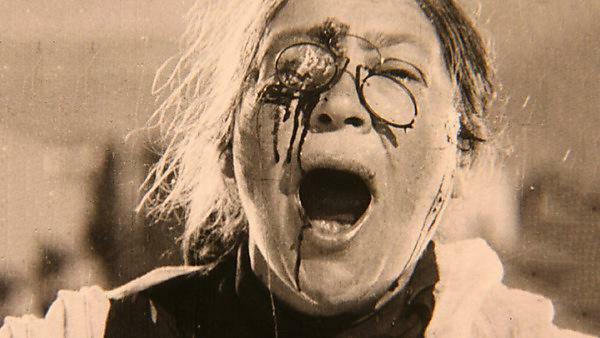 One of the most famous silent films ever made, Battleship Potemkin directed by Sergei Eisenstein, tops the bill during a season which includes films from Russia, Italy, Sweden, the United States and even Plymouth itself. Also on the roster are Salo: 120 Days of Sodom – which was initially banned in the UK and only passed for uncut release in 2000 – and Freaks, a 1932 film deemed so shocking that its original version is no longer in existence while its reception ruined the career of director Tod Browning. And there will be a first ever screening of Remembrance, which stars Gary Oldman, Timothy Spall and John Altman and explores Plymouth’s notorious Union Street in the early 1980s. The theme of revolution has been chosen to coincide with the centenary of the Russian Revolution, and the films will be shown in the Jill Craigie Cinema at the University of Plymouth starting on Monday 16 October. A number of exhibitions, concerts, performances and talks will also feature during the season, which is programmed as part of the partnership for The Box, Plymouth and delivered with Plymouth Museums Galleries Archives. 27 November – The Seventh Seal (1957) is directed by Ingmar Bergman, with the apocalyptic themes of sin and sacrifice making it a classic of modern cinema and introduces the young Max von Sydow in the lead role of the knight. This year marks the centenary of the Russian Revolution; a period that still generates controversy. Such a tumultuous political time also heralded a revolution within art, music, theatre and film – unleashing a period of radical experimentation and innovation that had an enduring impact throughout the 20th century. Taking 1917 as an example of a major turning point within society, the programme identifies a number of points across history and within the present where culture has undergone a major shift. The resulting programme might surprise you as to what we have chosen as being revolutionary and in some places may present a challenge, with previous radical ideas now being viewed as problematic from current perspectives.